I have more information regarding the film - SHADOWS OF ATTICUS. First off, here's an interview with Peter that was published in the Kansas City Star. The story involves the successes and struggles of a young girl named Belle Lawlor (Vivien Cardone) who undergoes a drastic personality change after her mother dies. She rebels against her father and is sent to her grandfather's farm in Kansas. There are a variety of animals that she interacts with. Peter has the role of Hock Banyon, Belle's grandfather. Kansas City was chosen as the shooting location because everyone at Waldo West Productions lives in the area along with the director and screenwriter. Director Dennis Fallon says his film is about a broken family and all the things they have to put together because of the death and the things they have to mend. Despite shooting on a luxurious horse farm and having a cast like Peter Coyote, Peter Boyle and Vivien Cardone, Fallon is proud of keeping his budget under three million. "When you see this film, you are going to be like, how in the world did you get all this for fewer than three million? It’s going to look great." Doug Delaney, who penned the script, adds, "The real story is about wounded people and animals. It's very surprising how very indirectly they can heal each other." Delaney said Kansas City Executive Producer Charles W. Nelson helped tremendously in making his screen play a big production. He continues, "This movie's only being made because of Nelson's love for animals. This is a film the kids will like, and the adults will love." Last month PBS aired "Woody Guthrie: Ain't Got No Home," narrated by Peter. 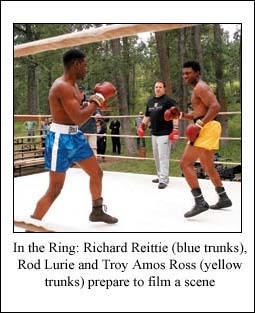 The 90-minute film, written and directed by Peter Frumkin, was a key part of the 20th anniversary season of the prestigious series, "American Masters". It included interviews with Pete Seeger and Bruce Springsteen, family members, biographers Ed Cray And Joe Klein, And folklorist Guy Logsdon. It also featured rarely seen home movies and family photos from the Woody Guthrie Foundation and Archives and recently discovered radio recordings and original Guthrie artwork. 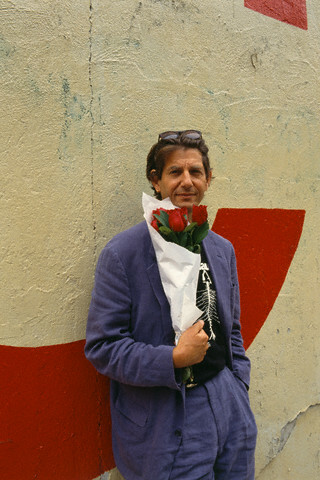 Neil Genzlinger of the NY Times had glowing words for Peter's narration in his July 12th TV review of the documentary. "Woody Guthrie is the subject of tonight’s installment of 'American Masters' on PBS, but first a word about the narrator. The disembodied voice for these types of documentaries often goes unmentioned, which is as it should be; the program, after all, is not about the person reading the script. 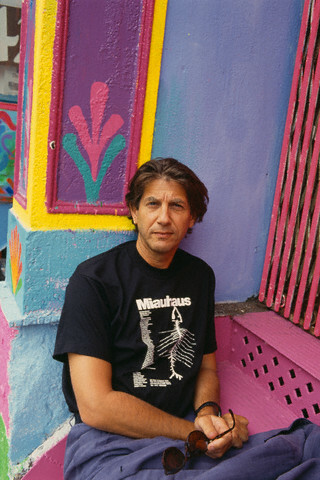 But here the choice, Peter Coyote, is a particularly nice fit. Mr. Coyote’s voice, clear and mellow yet unpretentious and with a hint of mournfulness, is one that you might imagine Guthrie himself as having if you saw only his photograph. It’s actually a little disappointing when Guthrie’s real voice, a nasal whine, is heard on the program via old tapes." 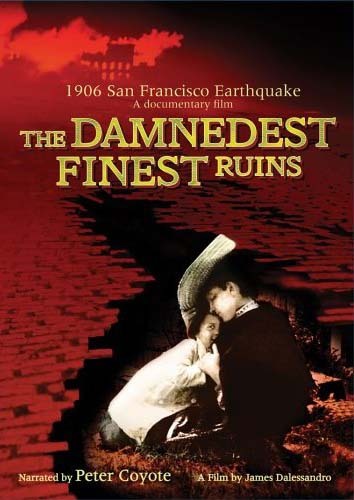 Narrated by Peter, the 53-minute documentary "The Damnedest, Finest Ruins" is now available on DVD. On April 18, 1906, a massive earthquake struck Northern California. In three terrible days San Francisco was wiped from the earth. This film paints a riveting portrait of courage and chaos. James Dalessandro, author of the best selling novel, 1906, uses rare photos and actual film of the disaster to create a captivating story of human courage and political incompetence, underscored by the music of Italian tenor Enrico Caruso, who performed five hours before the disaster and barely made it out alive. On July 25th DEEPWATER was released on DVD. 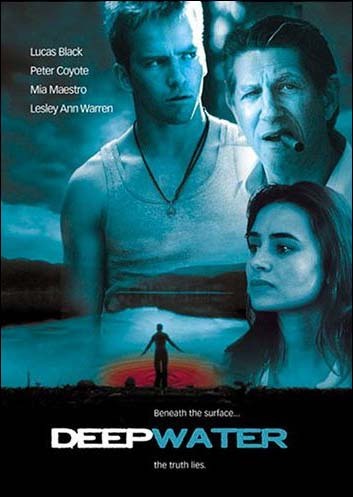 The film tells the story of young drifter Nat Banyon (Lucas Black) who ends up saving the life of eccentric motel owner Herman Finch (Coyote). He's then offered a handyman job in return, but life in the ramshackle town of Deepwater isn't what it seems and before long, Nat finds himself ensnared in a web of deceit and trickery. Ken Eisner of Variety claims this low-budget neo-noir looks like more than a million bucks, thanks to the vision of debut helmer David S. Marfield, who adapted the story from a Southern Gothic novel by Matthew E. Jones. 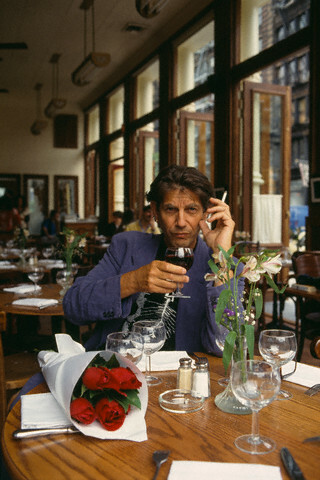 He adds, "It also offers one of the strongest, most unusual turns yet by Peter Coyote as a rural tycoon who is either an evil manipulator or an outsized good ol' boy." DVD Review describes it as a "small movie that deserves as much attention as it can get, especially for its director. 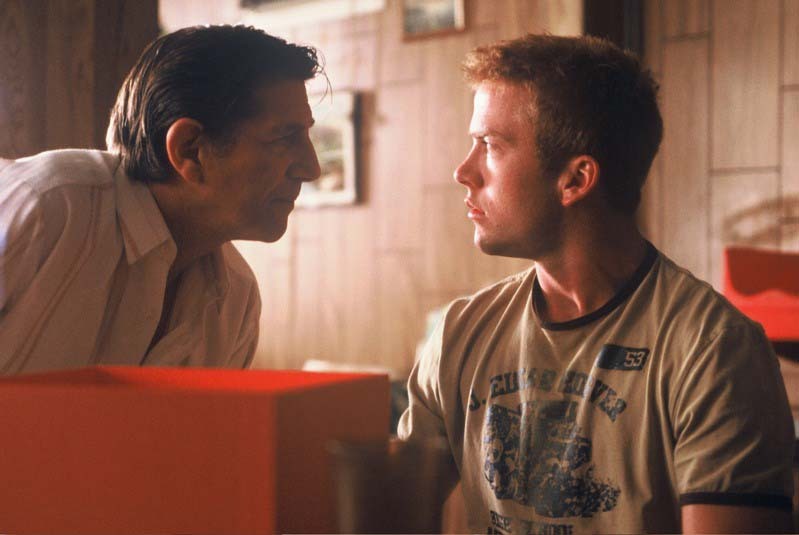 Deepwater is an evocative throwback to the film noir of the 1940s and David S. Marfield displays a shining talent... Peter Coyote has a plum role, effectively chewing the scenery as a delectably nasty villain." And Video Business agrees with "This limited-budget film is extremely well made and first-time director Marfield uses stylish visual effects to lend a hallucinogenic cast to the proceedings... Coyote, a fine actor, plays his colorful character ambiguously enough to keep viewers guessing as to where he stands." When the film premiered at the Seattle International Film Festival last summer, The Seattle Post Intelligencer film reviewer wrote, "Here's a taut and tense twist on an already tightly wound noirish classic and modern thrillers like 'The Postman Always Rings Twice,' 'Blood Simple' and 'Body Heat.' This world premiere by David S. Marfield, whose cinematic influences definitely show (add 'Psycho' to the mix of movies above), subverts everything we think will happen. He does it with stylish pulse and visual creativity and with a solid cast." The screenplay, also written by Marfield, was based on the novel by Matthew F. Jones. Around six years ago English film company, Halcyon Entertainment, approached Jones about filming Deepwater. He accepted and was invited to participate in its Vancouver-based shoot in the fall of 2003. 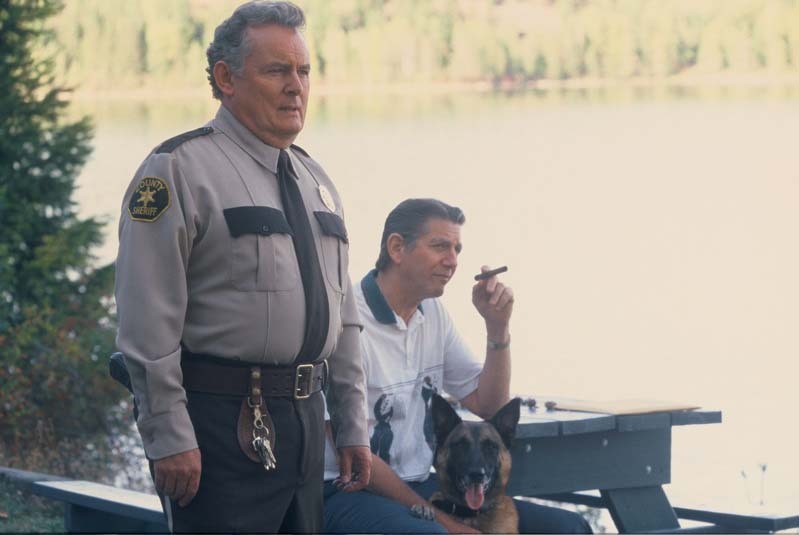 Jones had envisioned his tale set in the Adirondacks, but his producers wanted a California location. 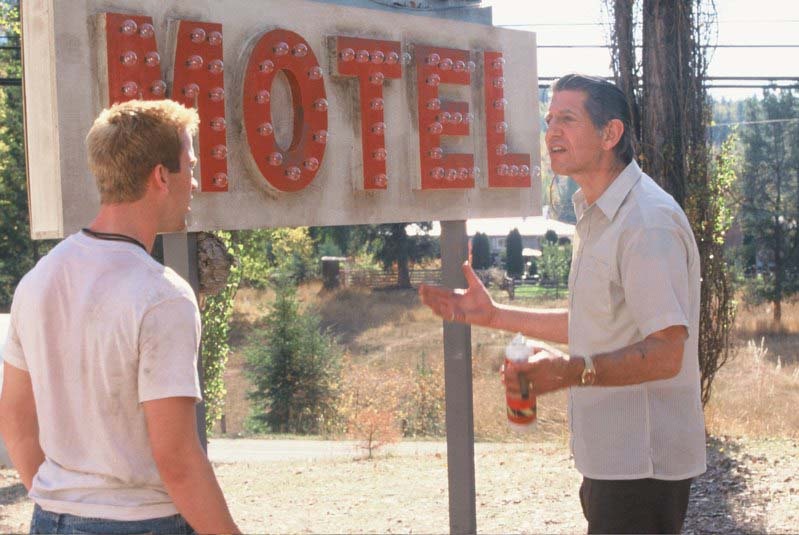 They settled on a Canadian spot that was a perfect reproduction of his original conception of Deepwater's setting, down to its pivotal motel. Appropriately, the Vancouver town was named Clearwater. According to Jones, the film is "a very interesting adaptation," and Coyote's performance is excellent. 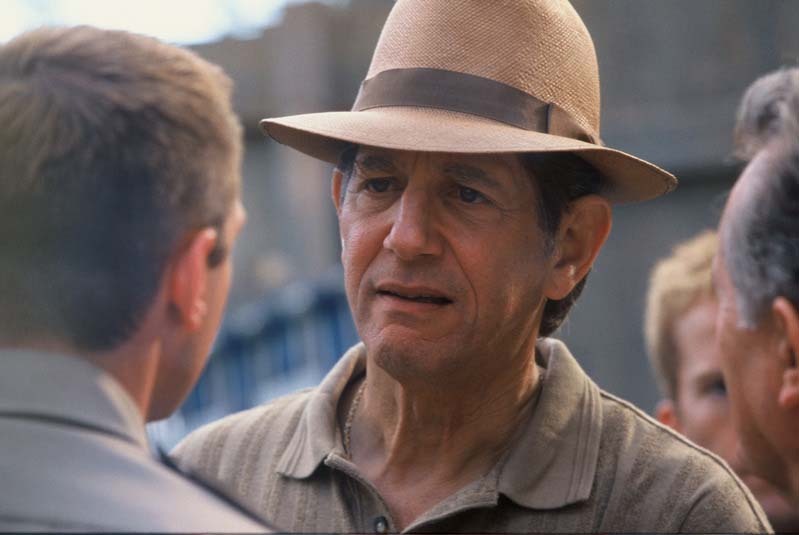 Director Marfield admits "Peter Coyote still haunts me to this day after his awe-inspiring role in Bitter Moon. He was always my first choice for this movie." 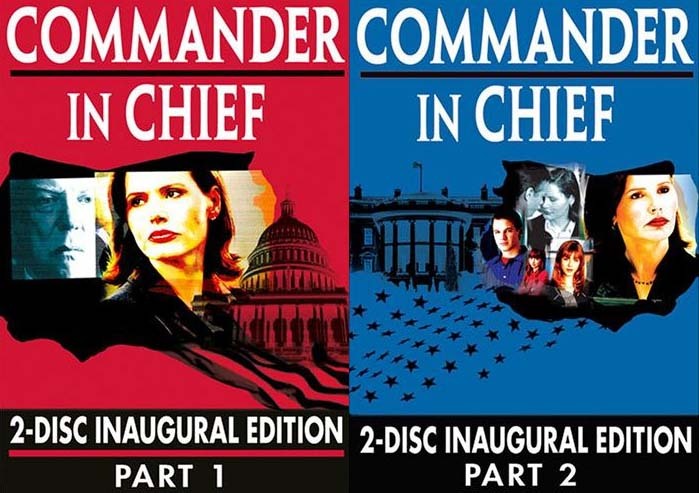 The ABC drama series, COMMANDER IN CHIEF, which earned star Geena Davis a Golden Globe Award, debuted in September 2005 with big numbers. However, ratings declined steadily until the series was pulled in its second season after 18 episodes. It was a show that "could've, would've, should've" in the TV world. 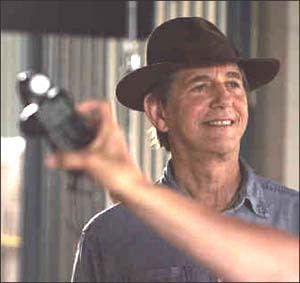 Peter had the recurring role of Vice President Warren Keaton. Fans will be glad to learn that two DVDs have been released. Part 1 covers the first ten episodes with Part 2 containing the last eight episodes. I have been on an extended holiday this summer on the Maine coast - no telephone, no TV, no computer - hooray! I returned home for 12 hours last Thursday only to turn around and head to PA to attend my son's wedding, so once I unpack my dancing shoes and beach sandals, I'll be back online to post the latest updates. Please check back this week. Thanks! 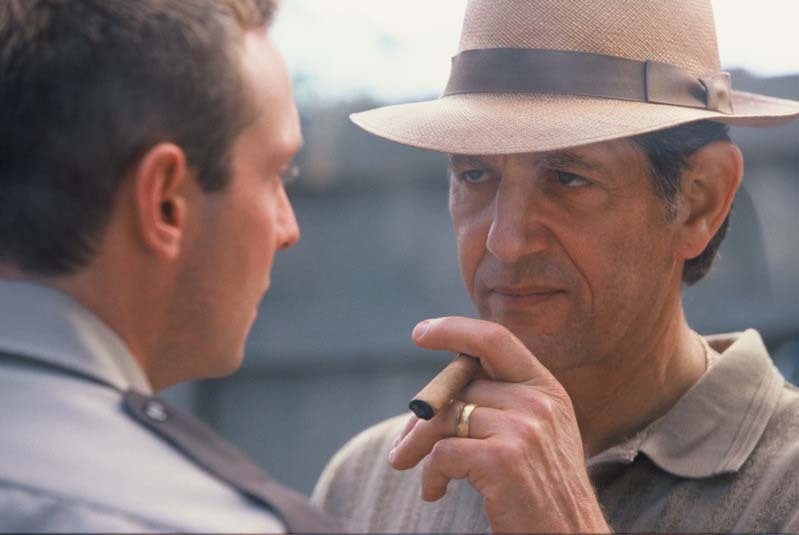 Peter is presently in Kansas filming SHADOWS OF ATTICUS with first-time director Dennis Fallon. Shooting began May 15th and will wrap up shortly. The cast also includes Vivien Cardon, Evan Parke Peter Boyle and April Bowlby. 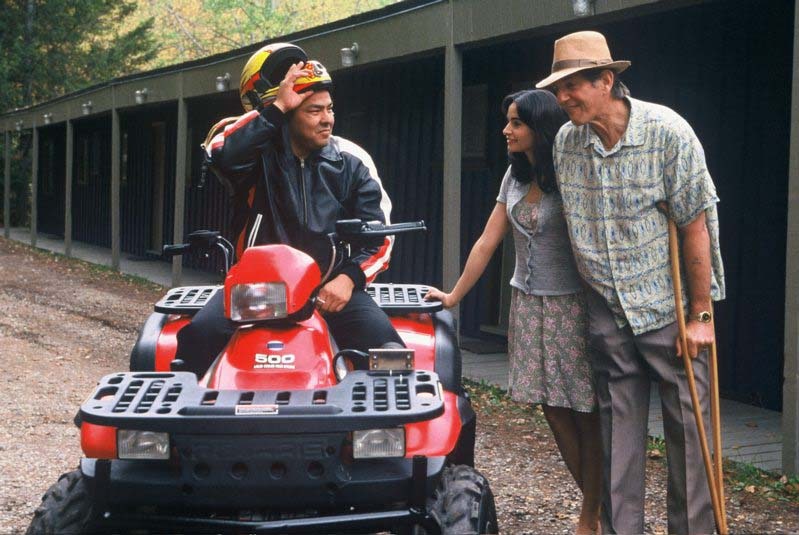 The three-million-dollar Waldo West Production is described as a family drama intended for "G" audiences.